The Spring 2018 TOMMY HILFIGER men’s offering celebrates Tommy Hilfiger’s love of motor sports, where speed and immediacy fuse with a touch of vintage nostalgia. The collection, which premiered at TOMMYNOW “DRIVE” during Milan Fashion Week on February 25th, gives nod to the Formula One™ racing pit crew, with heritage work wear and a strong focus on denim. Street styles are born from the iconic shapes, bold colors and streamlined graphics of speed racers. Looking at the traditional American automobile culture, clothing is reinvented for a collection that fulfills the needs of today’s fast-paced lifestyle. The brand heritage of TOMMY HILFIGER is closely linked with pop culture and sports icons. In the ‘90s, Hilfiger was one of the first designers to blend fashion and celebrity, and he became a pioneer in the industry by dressing young artists such as Aaliyah, Mark Ronson and Usher; and featuring musicians such David Bowie and Beyonc? in his advertising campaigns. In recent years, Tommy Hilfiger has established inspiring partnerships with international tennis champion Rafael Nadal, international supermodel Gigi Hadid, and award-winning musician/producer duo The Chainsmokers, reflecting the brand’s commitment to broaden its reach and connect with the next generation of consumers. 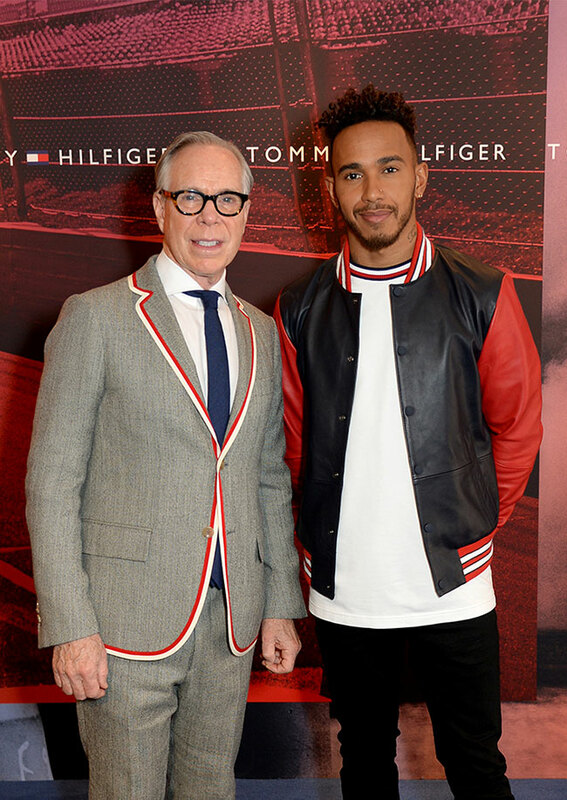 Tommy Hilfiger also has a history with Formula One™, most recently announcing a multi-year strategic partnership as the Official Apparel Partner for the four-time World Champions Mercedes-AMG Petronas Motorsport. The brand previously sponsored the Lotus Formula One™ team from 1991 to 1994, and was the first non-automotive brand to sponsor Ferrari’s Formula One™ team, including uniforms created by the designer himself, in 1998.